Maysoon recently released its eid dresses. Maysoon 2012 eid dresses are quite stylish and are appropriate not only for eid but for party wear also. They consist of long A-line shirts and frocks as well as churidaar pajamas, which is the latest fashion. All the Maysoon 2012 eid dresses are stitched. The stitching of all the Maysoon 2012 eid dresses is excellent. The colors used in the dresses are mostly the same ones used in the last collection. Nonetheless, along with the appropriate accessories, any of the dresses will make you look stunning on eid. Maysoon is one of the most prominent manufacturers and retailers of ready to wear outfits in Pakistan. It has been around since 2000 and over the 12 years of its operation, it has become quite famous. It provides various types of eastern outfits but many of its outfits are party wear. It released dozens of elegant outfits earlier in 2012. Maysoon has its outlets in Lahore, UK and USA. Apart from this, it has online shopping facility also so that south Asian women from all over the world can order its outfits and have them delivered at their doorsteps easily. 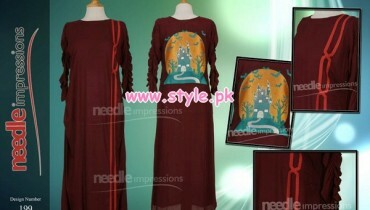 Some of Maysoon 2012 eid dresses can be seen below. They are quite dazzling aren’t they? If you want any of the Maysoon 2012 eid dresses, head to one of the outlets of Maysoon. The locations of all Maysoon outlets are given on its Facebook Fan page. If you have any queries, you can contact Maysoon via the Facebook fan page, phone or email. The URLs of the Facebook fan page and website of Maysoon as well as its phone numbers and email address are given below for your convenience.